Learning about the inherently creative mind is one to be lorded, a fascinating insight into how some of the most wonderful characters see their ideas come to light. 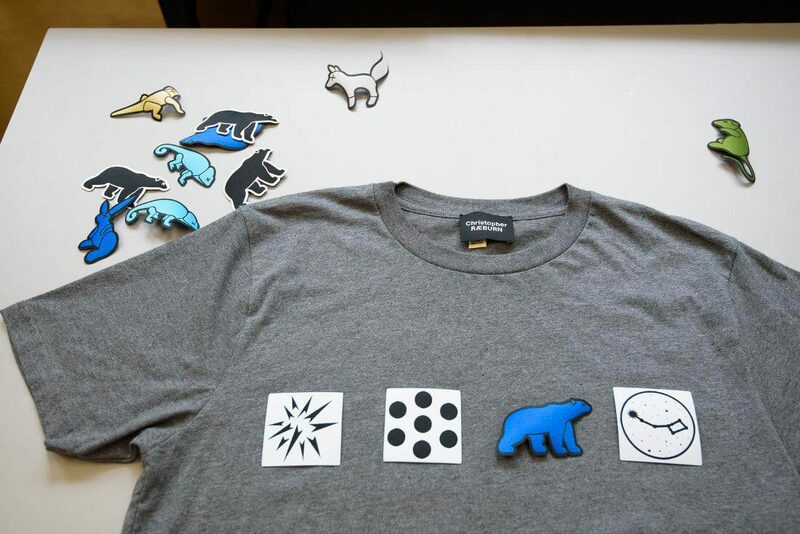 Here at Ape to Gentleman we’ve been chatting to one such fellow – celebrated London-based designer Christopher Raeburn. It has been a year since you moved to your REMADE Studio in Hackney. How is it all going? Really well thank you, it’s been an exciting year. Moving to the REMADE Studio has been a real catalyst for the business. 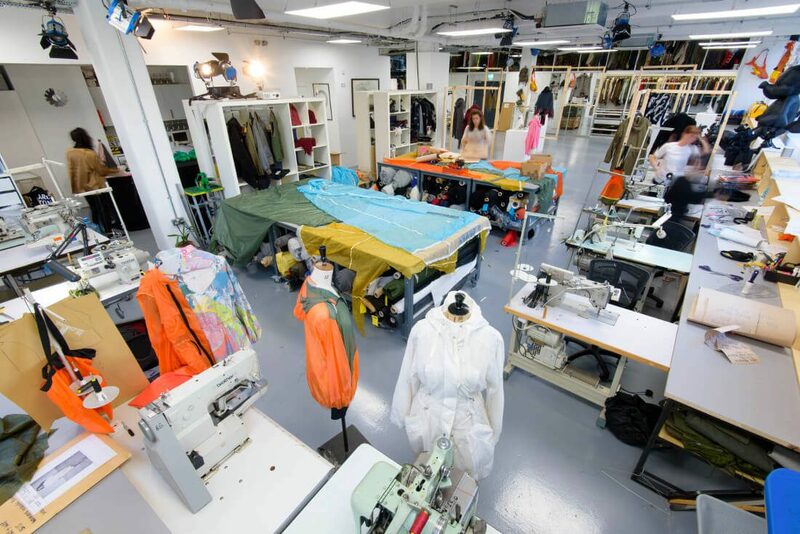 The studio is in a fantastic part of East London with a history of textile and garment manufacturing. What was behind the move to this space, which is part of the old Burberry factory if I’m not mistaken? We call our new studio the REMADE studio as it was previously home to the Burberry textile factory where the likes of Shackleton’s exhibition were stored. It felt like an amazing opportunity to give this space a new lease of life. 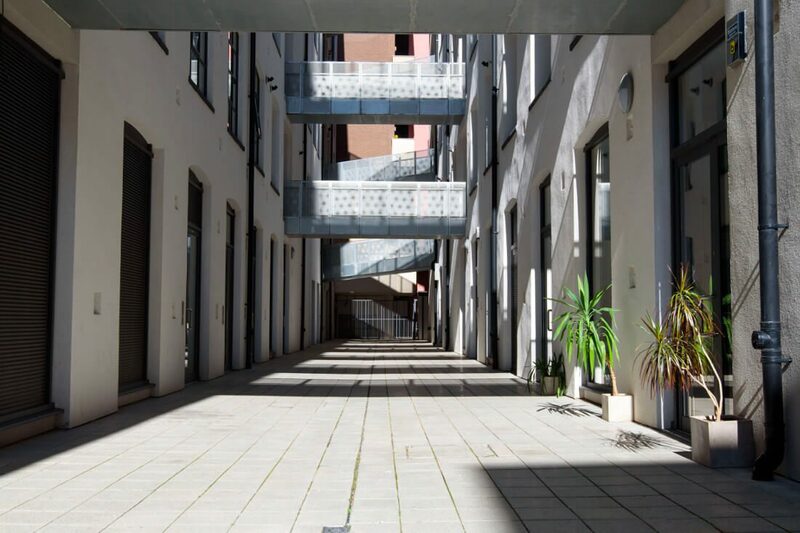 The REMADE studio is also much more open than our previous studio in Bow allowing for the atelier, archive, showroom and offices to be in one open floor space. Above and beyond this, it allows us to host open studio days and community workshops as part of our on-going initiatives to engage with our audience and give something back to the community. 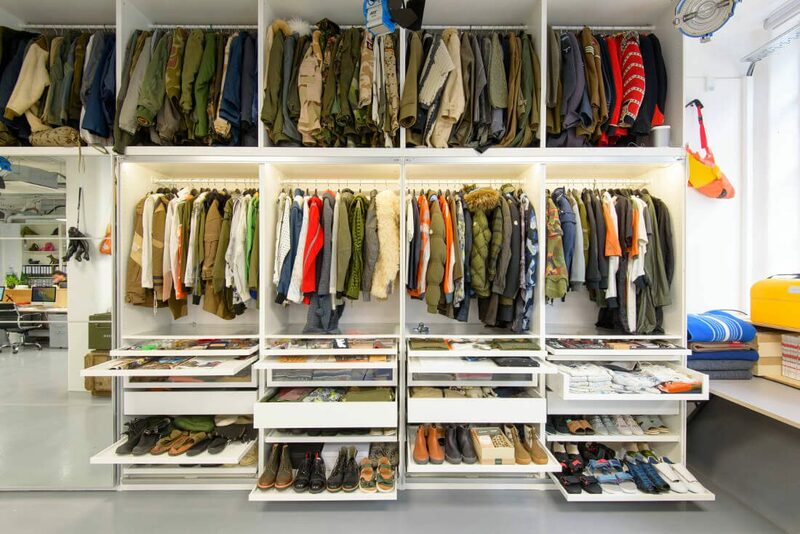 The studio is a colourful hub of creative energy and seems to capture the Christopher Raeburn story from day dot. Was this the purpose? Very much so. I want the studio to become a creative and community hub. It’s really important for people to get a feel for the brand once they enter the space which is why the archive is displayed across the main wall. It’s also about transparency. A lot of fashion designers have this reputation of working behind closed doors. For me, it’s important to be honest with our audience and give people the opportunity to step into our world. You made your name from revitalising old military garments, this process still seems to bare a huge relevance to the products you create today? Absolutely. I started using recycled materials from the very beginning. I constructed original 1950’s British battledress jackets as part of my first-year menswear university project back in 2001. 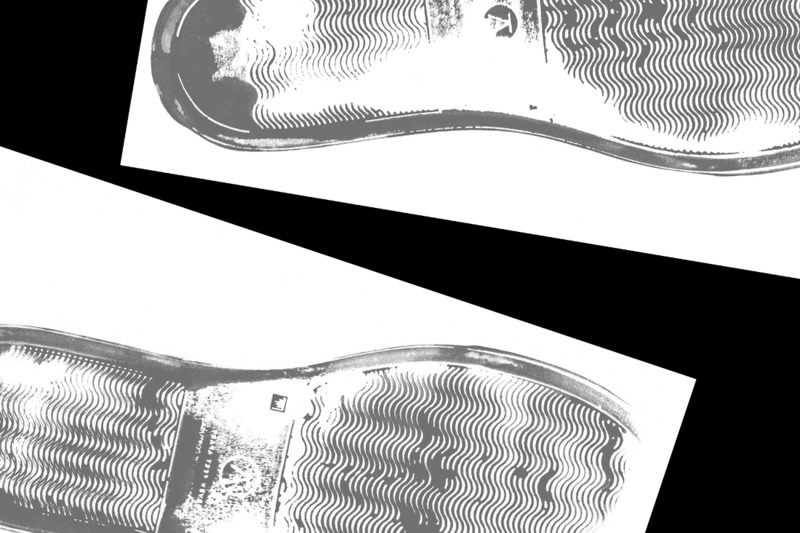 For me, a lot of it is about archeology, going out and finding original items from warehouses or the Internet, and turning them into something new. Could you explain in a little detail the reason behind opening the studio doors for your monthly animal workshops? 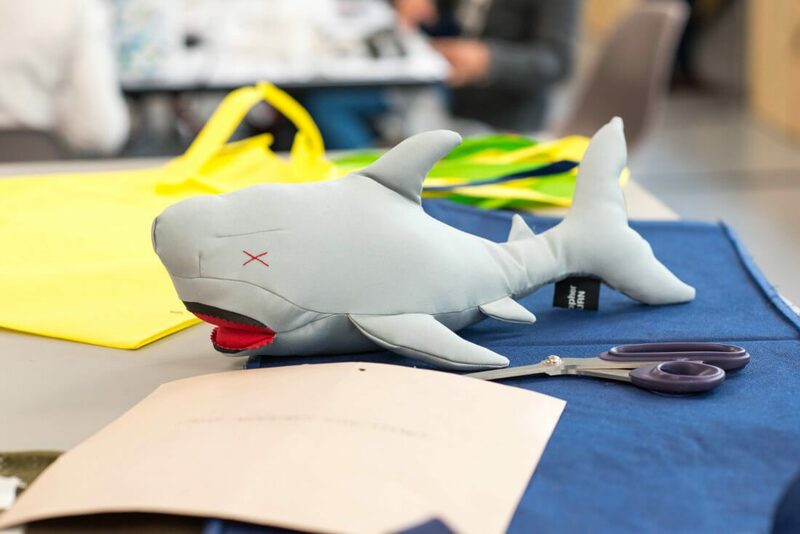 Our off-cut animal workshops are a series of monthly workshops where attendees are invited to make their own animal choosing their own fabric combinations using off-cuts from the atelier. We started with the rabbit for Easter, and have since then done the tortoise, owl and shark. This workshop series forms part of our wider initiatives to open up the REMADE studio, engage with our audience in a creative way and give something back to the community. 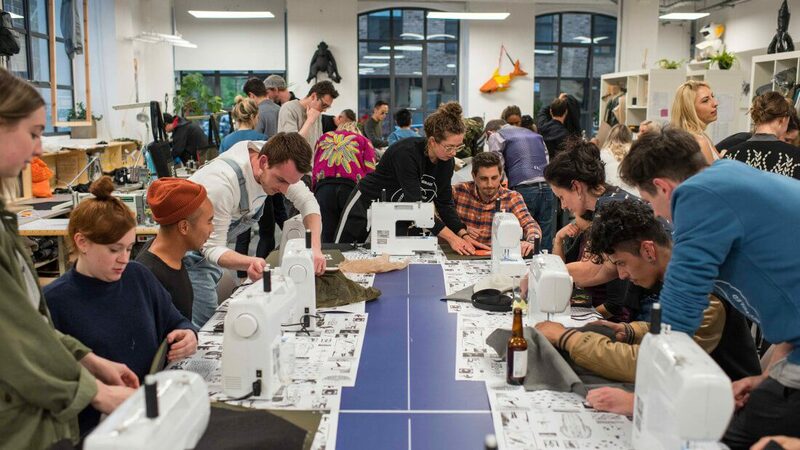 Who attends them, is it literally for everyone, or do you need a little sewing knowledge beforehand? It’s been fascinating to see the mix of people attending. As well as designers and young creatives, our regulars include a 10-year-old girl and a couple of scientists. Basic knowledge of domestic sewing machines is a must but we’ve had people turn up with no experience whatsoever and still manage to complete their creation. Why the obsession with animals? You have a very creative mind obviously, do you sometimes move too quickly for yourself and end up juggling too much? It’s very easy to move quickly and get lost when juggling with various projects. I was given some sound advice back when I was at university to not try to do everything at once. If you start simple with a clear message, you can grow from there. We’ve sourced and reworked a wide range of surplus materials around the globe, from decommissioned parachutes, 1950’s silk maps to life rafts and more recently bomb disposal jackets. I’ve worked with parachutes since the very beginning of the brand and it’s a fabric that people associate the brand with. We continue to innovate and re-work parachute into contemporary pieces and accessories. I bought a survival life raft online a few years ago. This thing arrived and it weighed half a ton and when you pulled on the rope it expanded, and I knew straight away I’d be able to do a whole collection (AW15) just based off that. The nature of the fabric made it a very challenging but rewarding project to work on. In terms of your collections for AW17, what has been the reception, motivation and what is your direction moving forward? We’re particularly excited for the imminent launch of our AW17 collection. The feedback we’ve had has been very positive and encouraging since the show back in January. 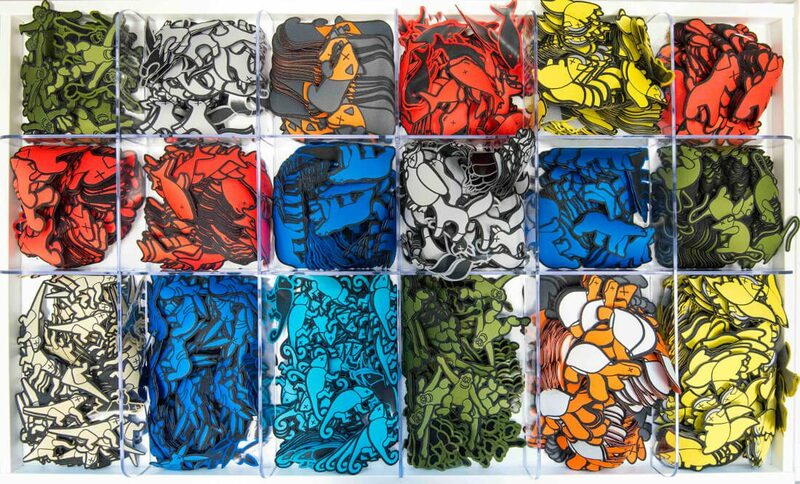 The collection (named CUT N’ SHUT) takes inspiration from Ellsworth Kelly’s deceptive, ground breaking and humorous ghost army to create pieces that aim to conceal, confuse and reveal in a playful and innovative experiment of deconstruction and reconstruction. 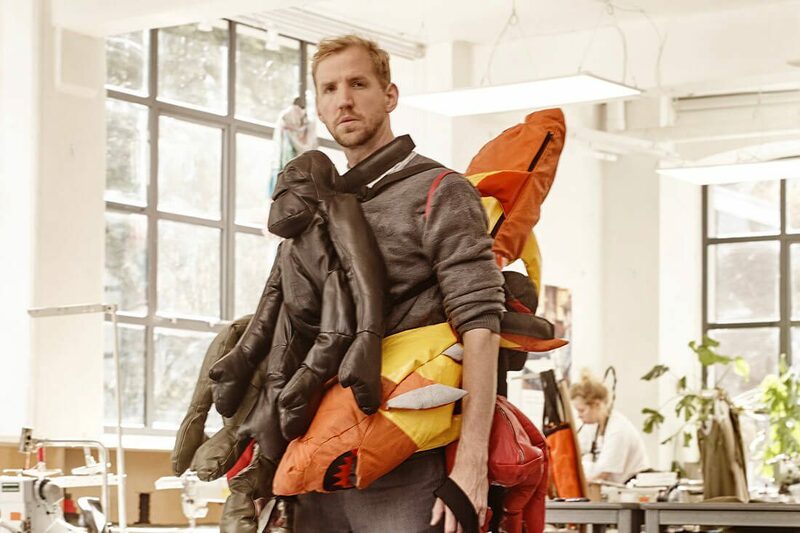 You have made an impact globally with your creations, how important has this been to the Christopher Raeburn label and did you set out to be where you are today? I think it’s important to stay grounded and to keep questioning and stay hungry in the right way because it’s what keeps you moving forward. You should never be complacent. I think defining success is a really difficult thing to do. What I’m trying to do here is make a difference, either on a small scale or hopefully, eventually, on a global scale. What was life like immediately after your military jacket was worn by Blake Lively in American Vogue? It was an amazing feeling. I felt very proud as this was one of our first big press piece back in 2010. This also gave me the confidence that my product at the time was commercially viable. Barneys New York bought into the collection soon after. You’ve suggested previously that you don’t see yourself as a typical ‘fashion designer’ what do you mean by this? The truth is, I’m still not convinced that I’m a normal fashion designer. My interest is in the process – researching something and making something that’s worthwhile at the end, something that’s considered in different ways. How important is the collaborative process to a brand like yourself? Talk to us about some of the collaborations you have been involved with? We’ve been fortunate enough to work alongside some of the best brands in the world over the past few years from Rapha, Moncler to more recently Disney, Eastpak and MCM. For us, it’s a great opportunity to bring a lot of what we’ve learnt over the years to much bigger companies, and make a big difference on a global scale. These projects have also allowed us to reimagine existing designs and really develop our innovative and creative side. We very much want to continue to collaborate with like-minded businesses, championing innovation and drawing a growing network of collaborators into our creative world. In the longer term, we are committed to sustainability and applying our REMADE ethos to everything we do. 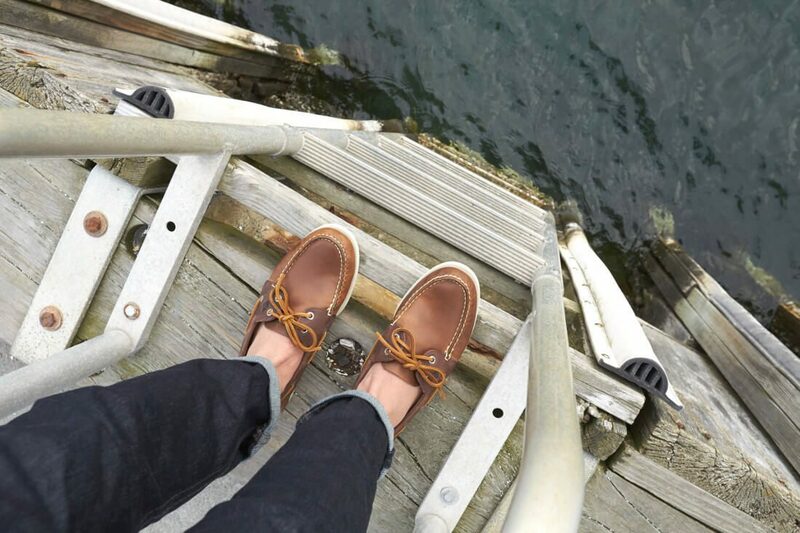 Sperry Footwear – A Happy Accident?